Remy looking to tap booming demand for premium whisky. 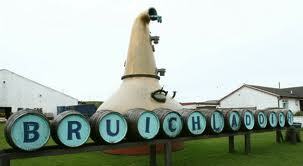 French spirits group Remy Cointreau is in exclusive talks to buy Scottish whisky maker Bruichladdich Distillery as it looks to tap booming demand for premium whisky from emerging markets in Asia. Remy Cointreau, the maker of Remy Martin cognac, Cointreau Liqueur and Mount Gay Rum, sold its champagne division last year and had since been looking for a premium whisky or brand to complement its portfolio. Bruichladdich, a distiller of single-malt Scotch whisky based on the Isle of Islay, generates annual sales of around 15 million euros ($18.5 million), a Remy Cointreau spokeswoman said on Monday.